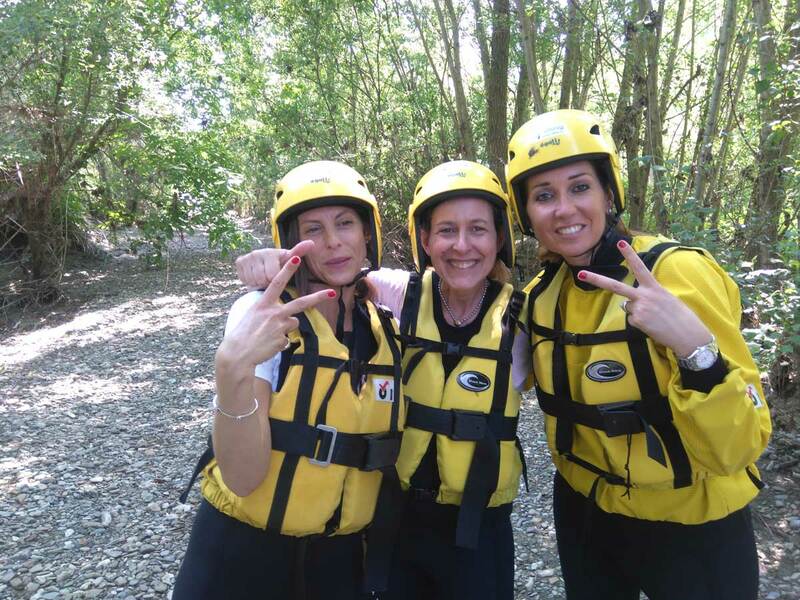 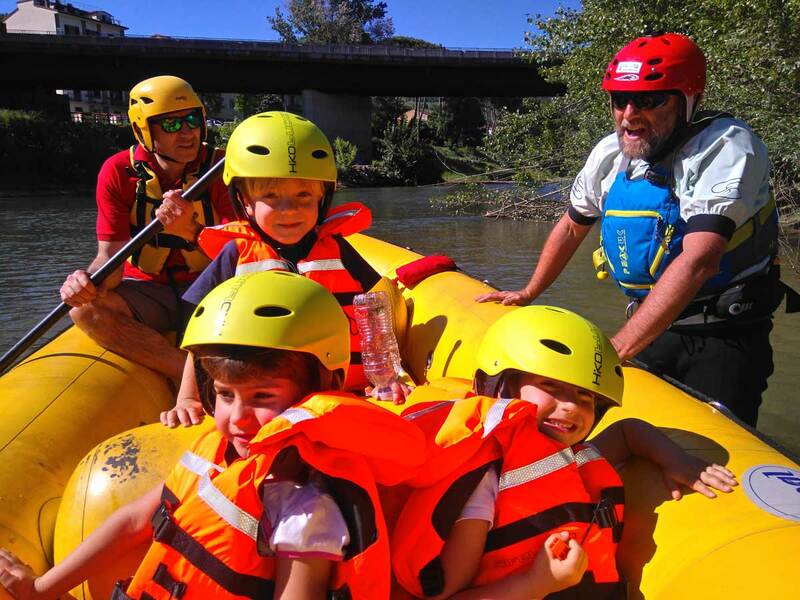 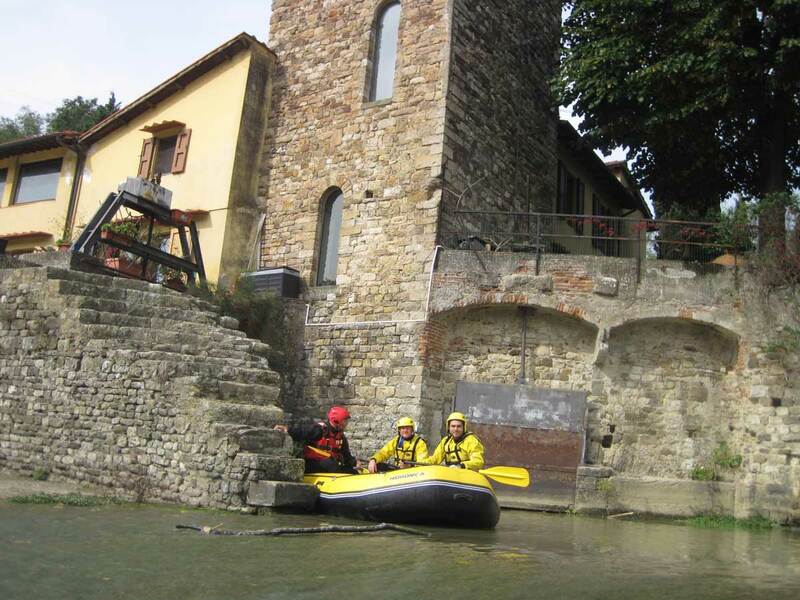 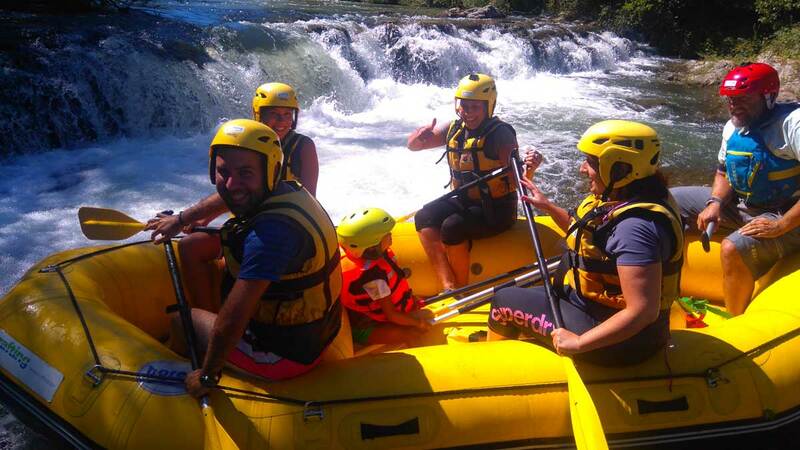 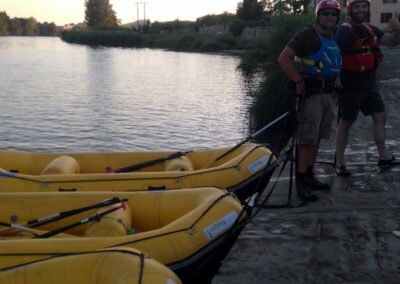 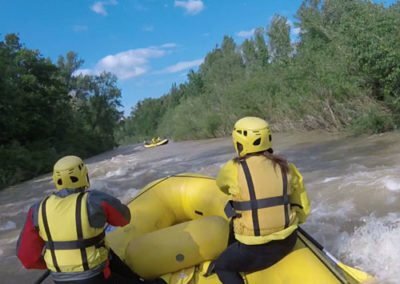 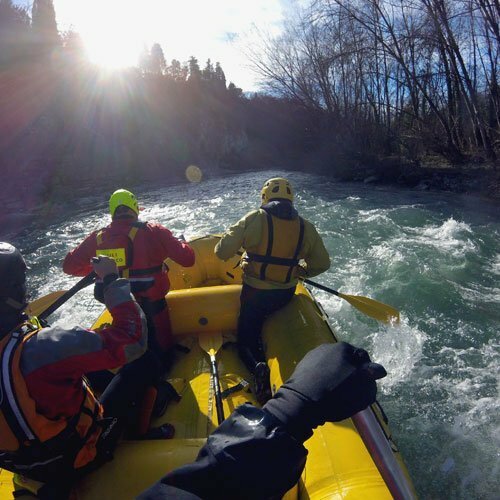 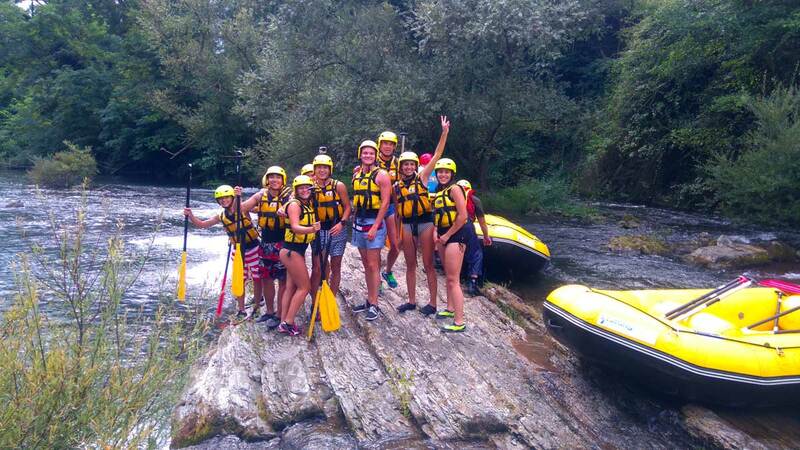 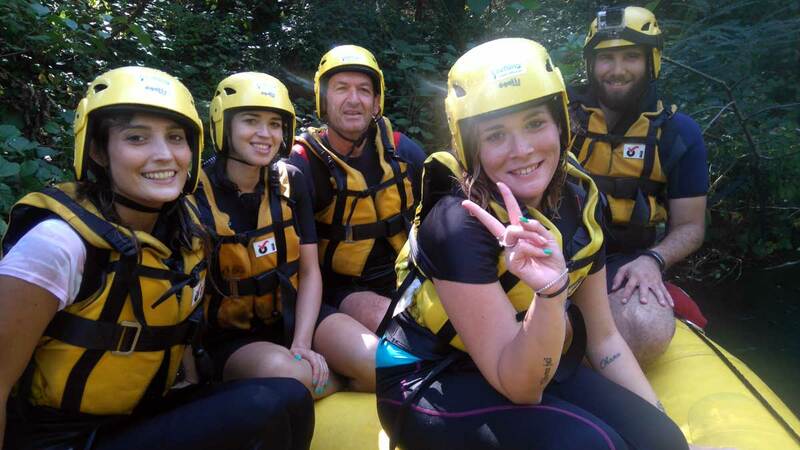 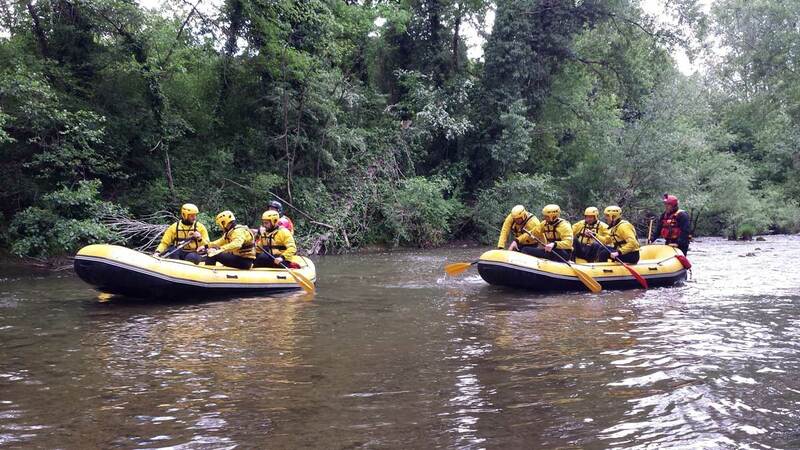 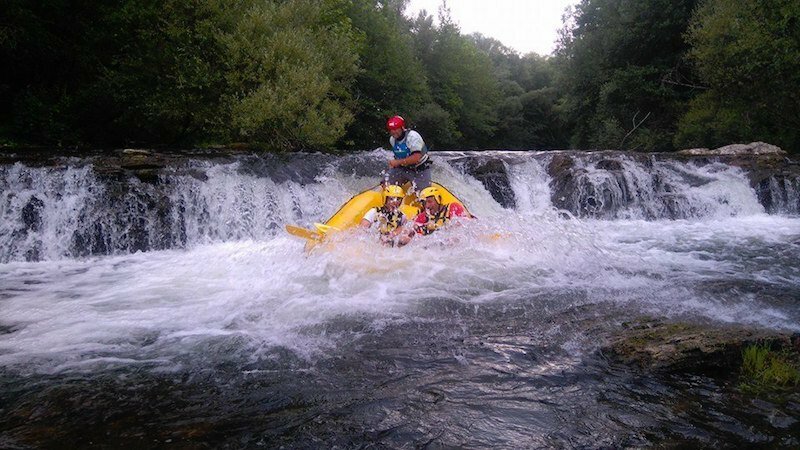 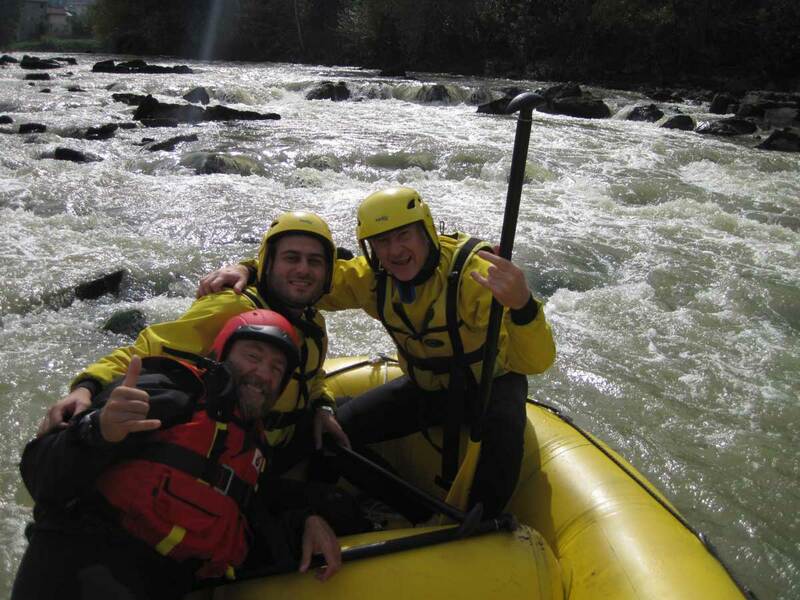 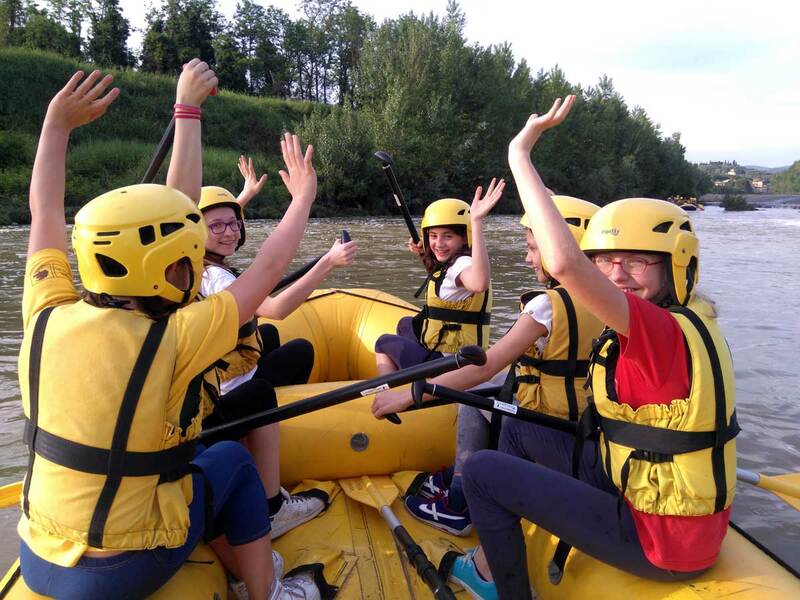 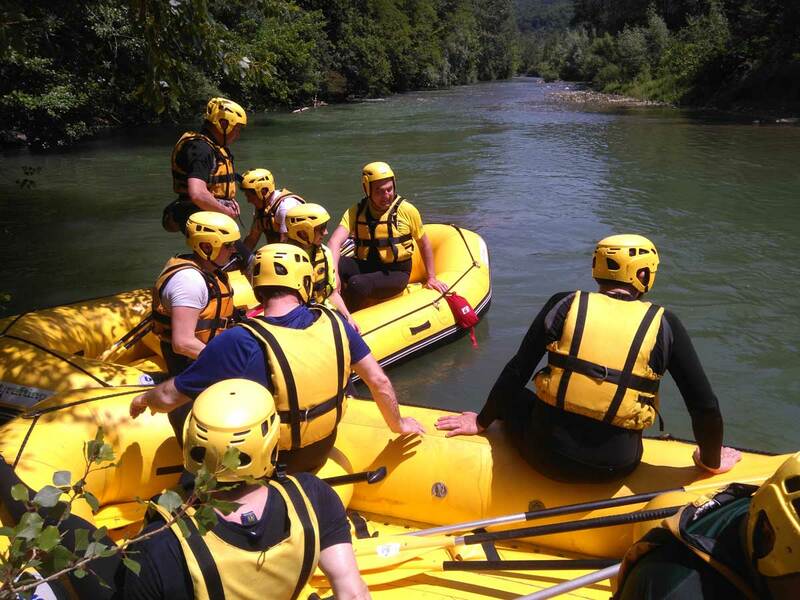 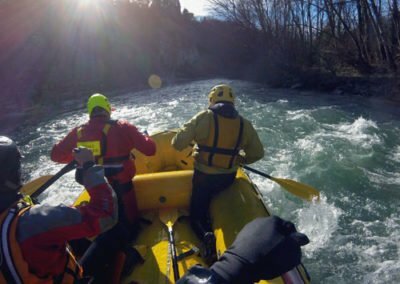 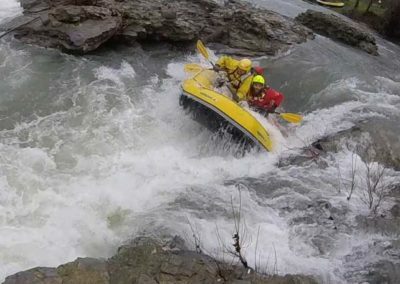 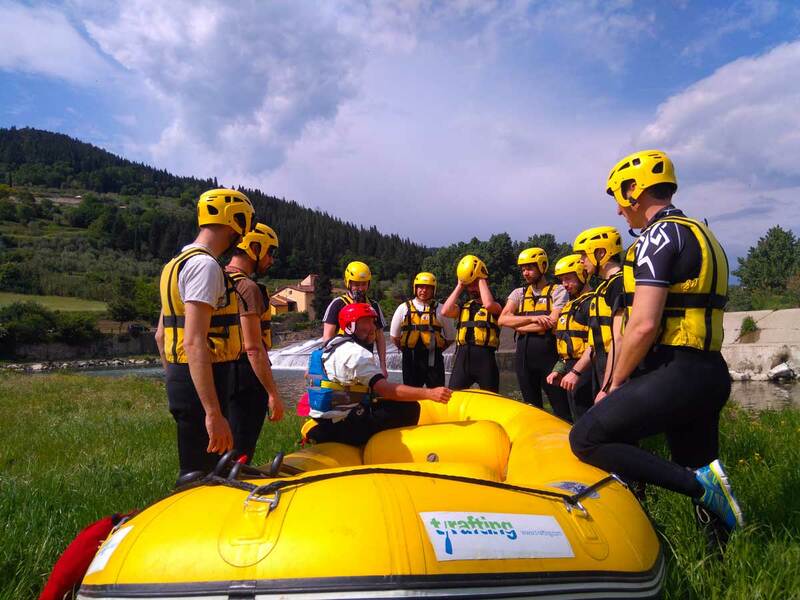 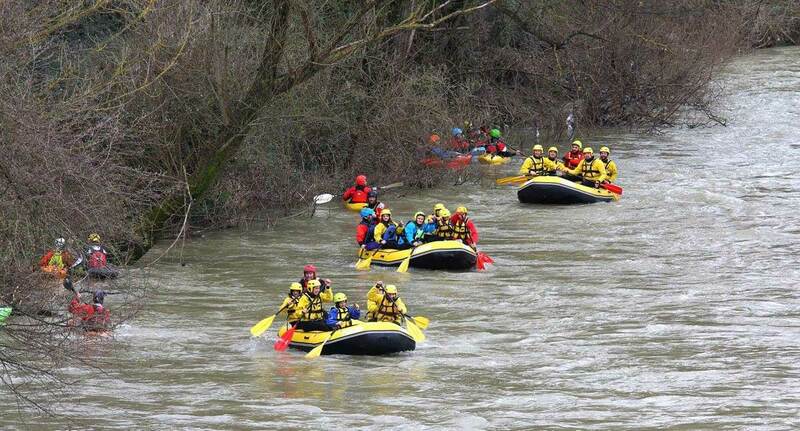 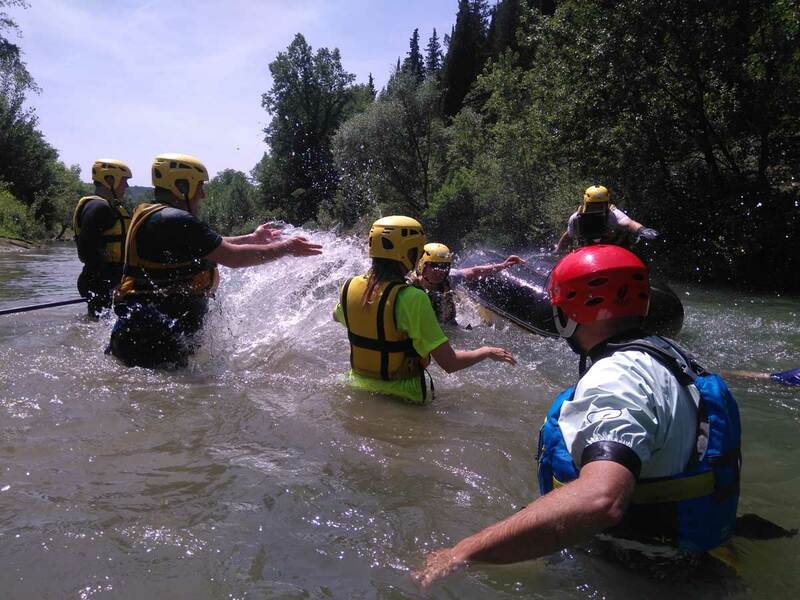 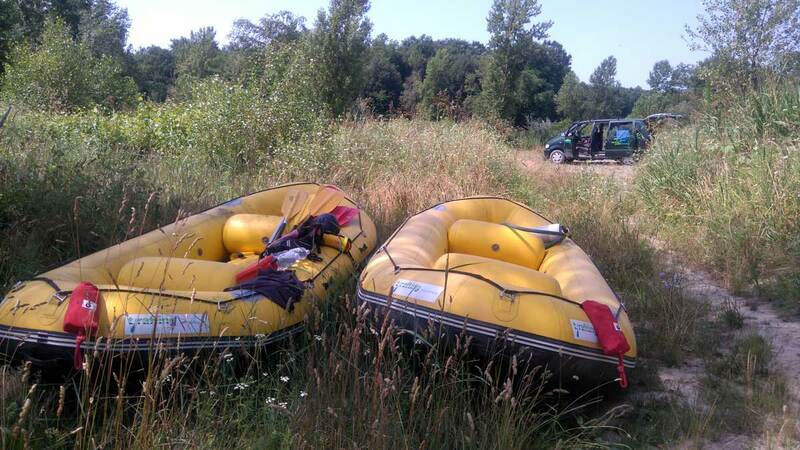 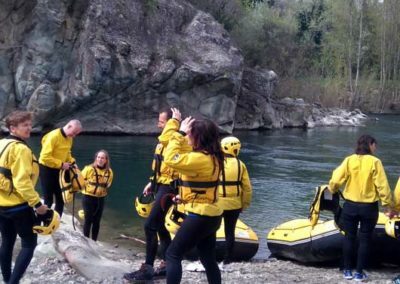 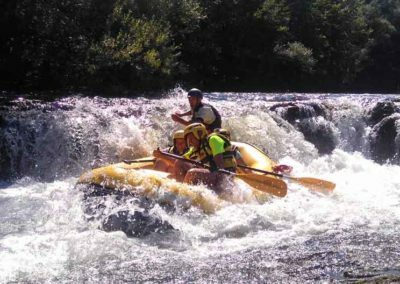 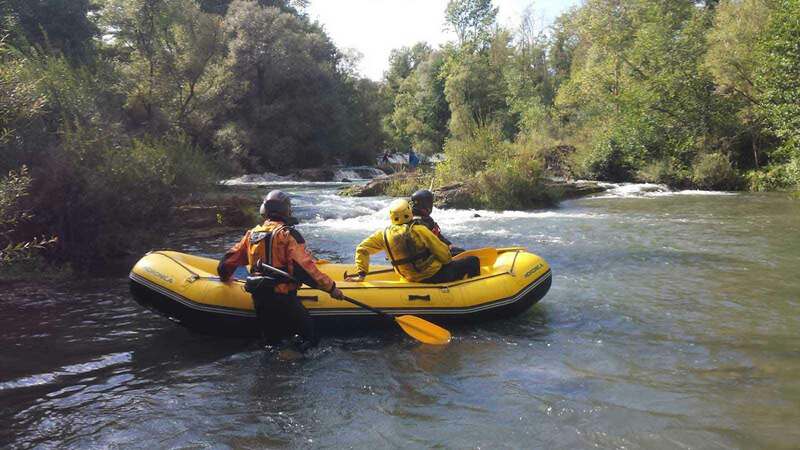 Rafting is a descent with an unsinkable raft along the rapids and currents of a river: the soft version, on calm water, is particularly suited for the first experiences of families with young children, or those who would like to discover the emotions of travelling down a river without any risks. 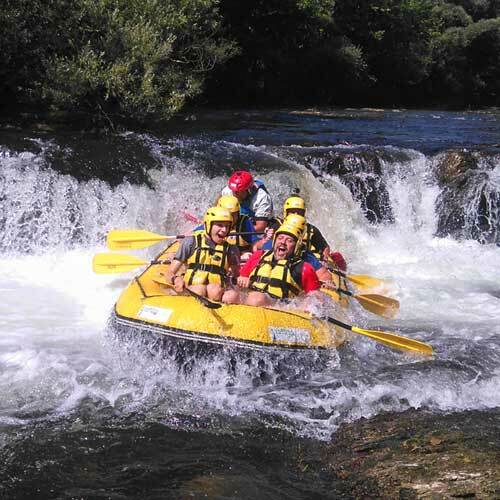 T-rafting makes a river descent a unique experience, transporting you, in a literal and emotional sense, within the natural environment, landscape, history and adventure, and providing the possibility to taste typical food and wine in the areas traversed. 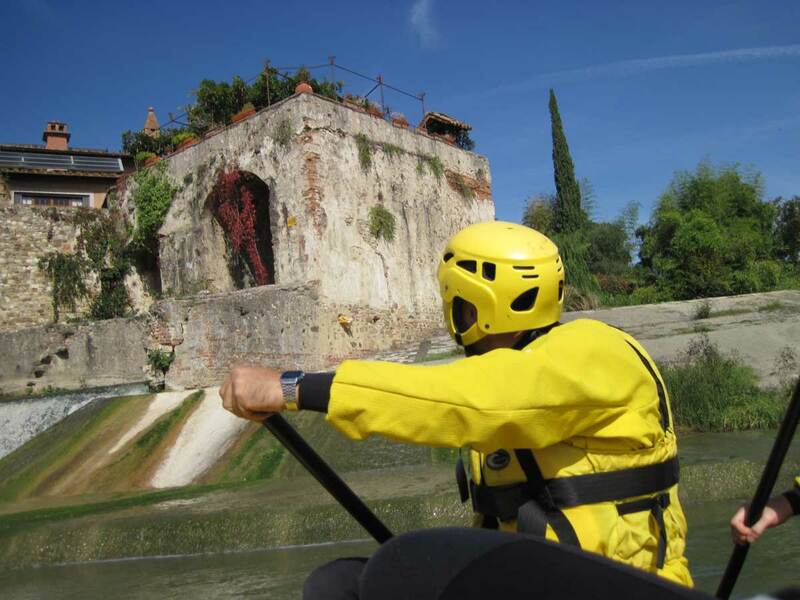 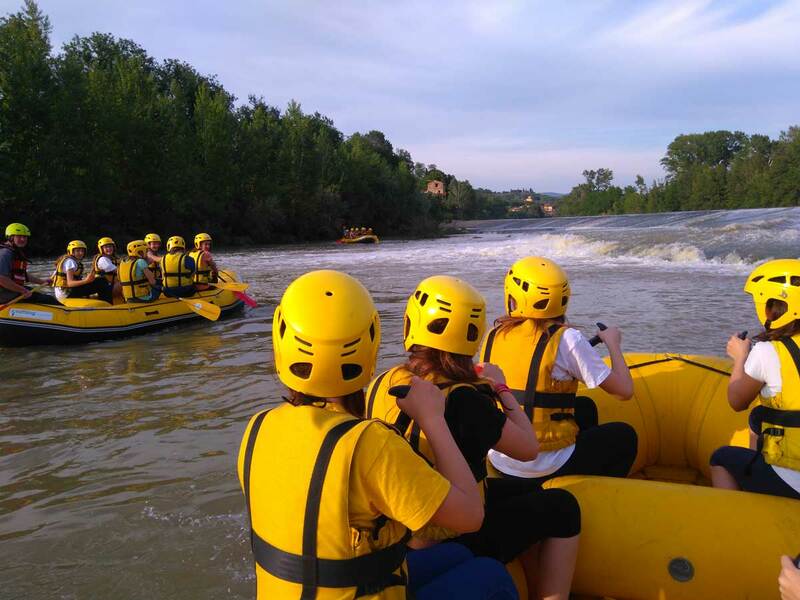 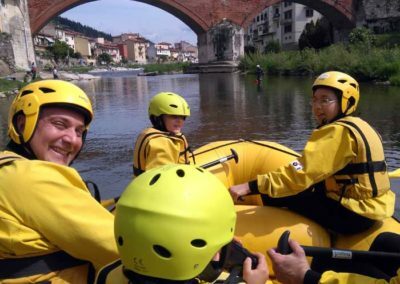 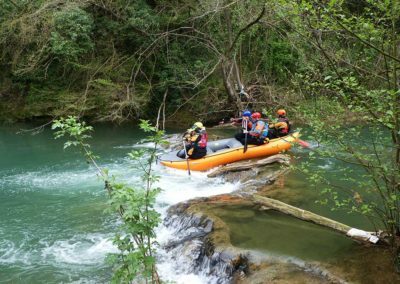 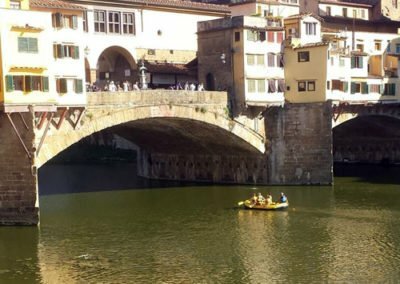 The river excursions offer the perfect opportunity to discover unusual viewpoints of the city and territory, with a combination of sport and culture. 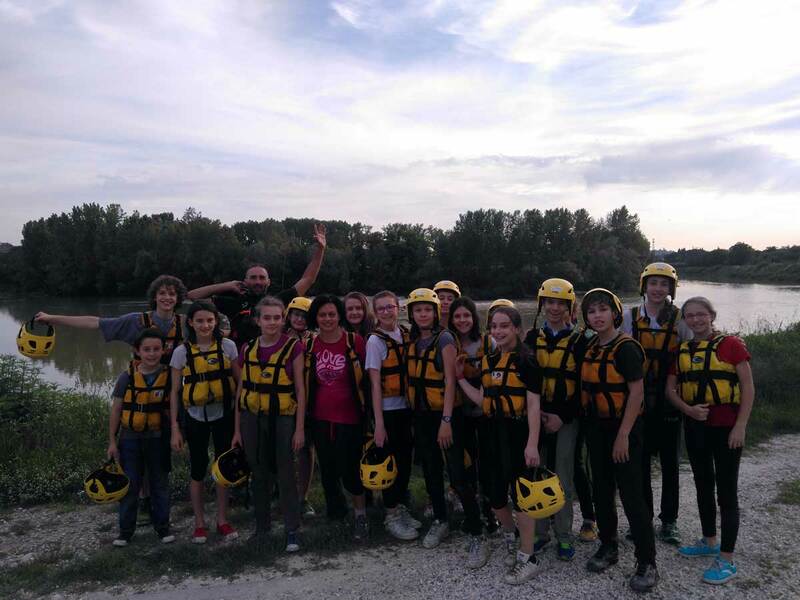 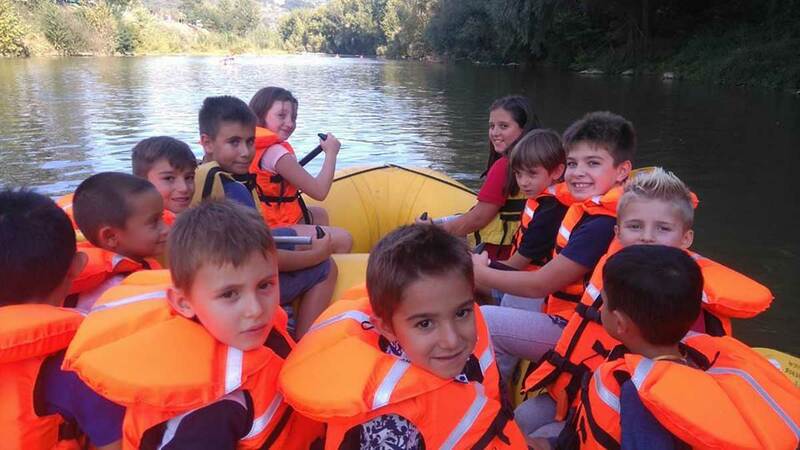 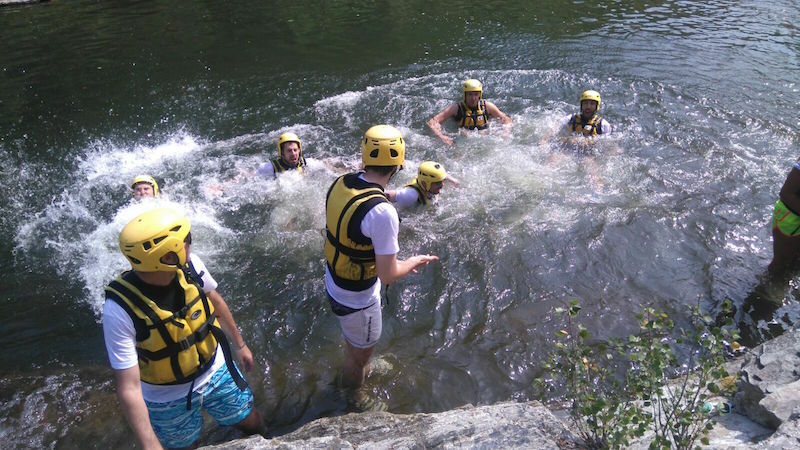 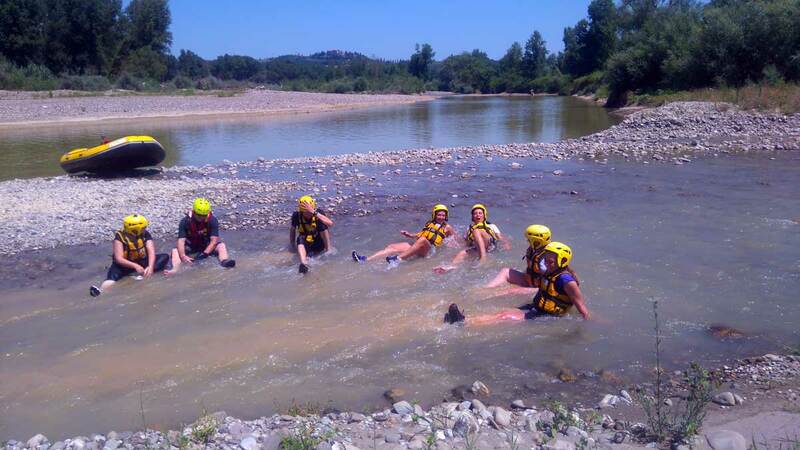 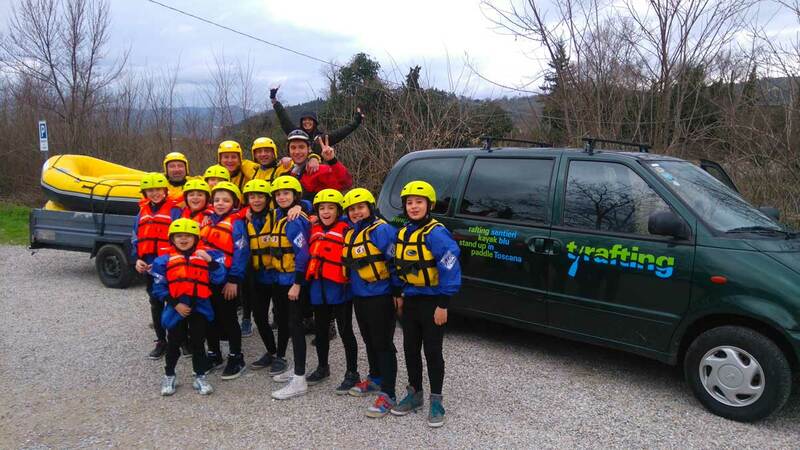 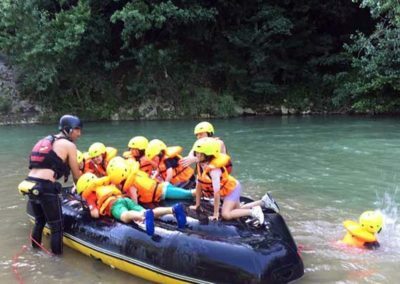 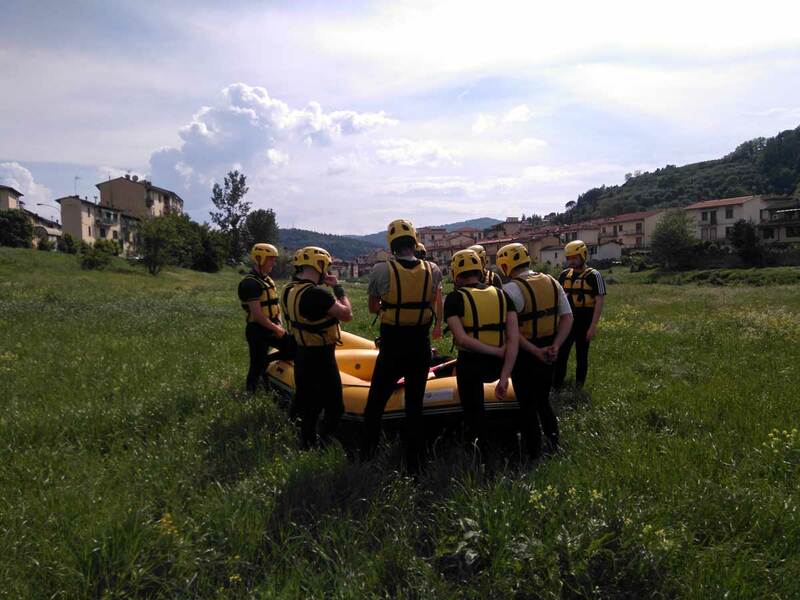 For the excursions and activities, no experience is needed and there is no age limit: school groups, families, tourists – everyone can enjoy a day in the fresh air practising sport and having fun. 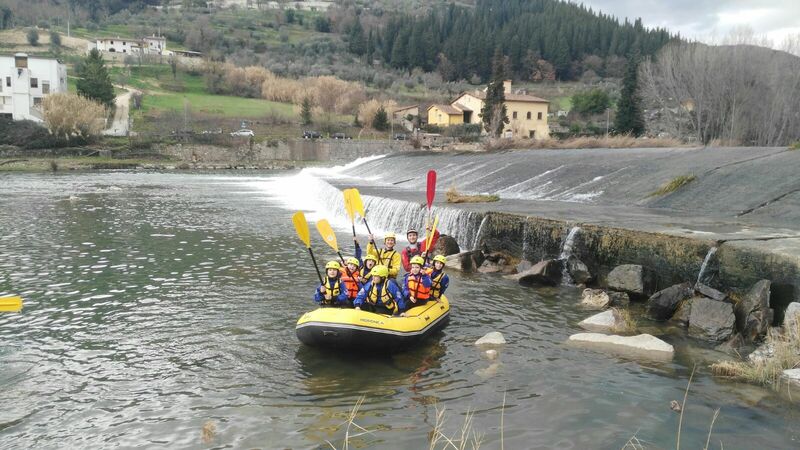 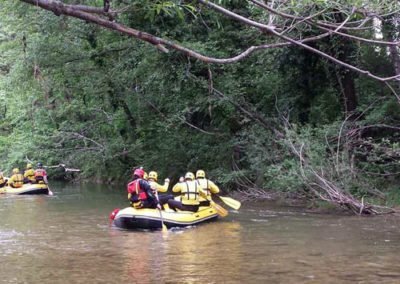 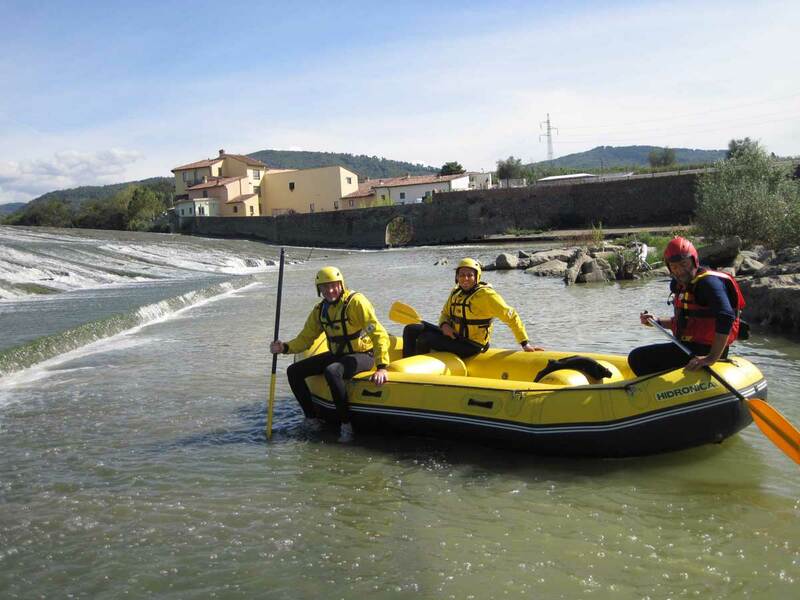 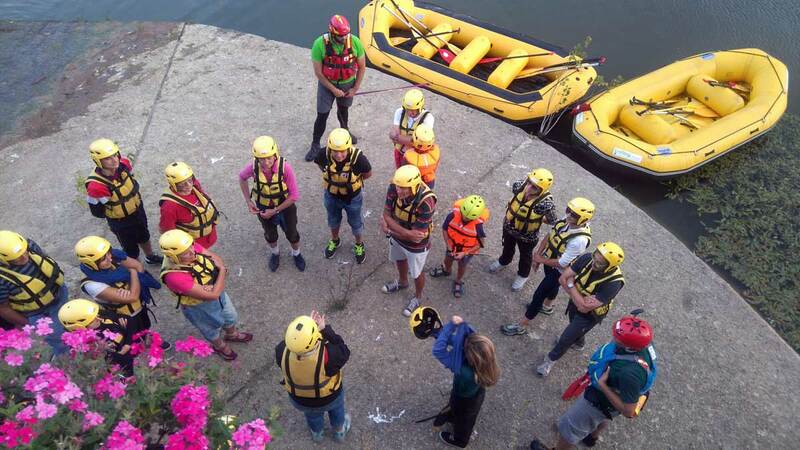 In order to participate in the activities, a FIRAFT membership card is required, which costs €3 per person, and can be obtained either immediately before a descent or by joining Aquaterra A.S.D. 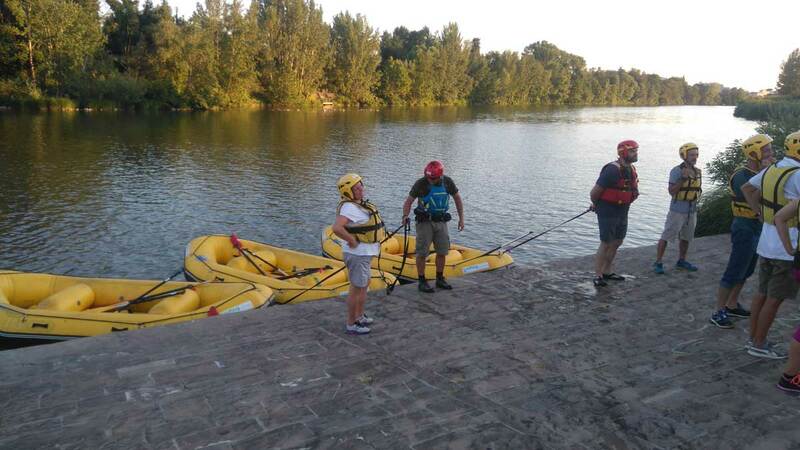 beforehand.